It is not like I have some exceptional experience in comparison to everyone else out there, who’s decided to move to another country to study. Nor do I claim some kind of extraordinary knowledge. Though, looking back – there are things I would like to share with my younger self. Until someone comes up with a time-machine, that would be rather impossible. I can, however, share this with you, and hope that maybe it helps one person to feel better or make a better decision. Or if nothing else: feel free to wonder how could have I done what I did. Now, I do not mean some metaphysical load (though, that would be true as well – it is not like your personal problems, if you had any at home, would magically dissolve). What I am saying is, very literally, everything you take with you, weighs. What I did a number of times, was to lug around clothes I never actually wore; toiletries, which I would have been better off buying at my destination rather than maxing up my liquids allowance. I know it feels more comforting moving countries like a snail – with your house on your back. That is rather impractical, really. If there is something you can buy much cheaper back home – or you are certain that some crucial for your lifestyle product won’t be available in the Netherlands: by all means, take it with you. For everything else, there are cheap options here (or at least, works out much cheaper, when you also calculate the airlines extra costs). I spent my undergraduate degree juggling a part-time job (sometimes several), studying and as much of social life as I could salvage. My memories of that time revolve around a handful of (quiet) nights out, and a lot of work. Which did not result in my dream academic record (took me a while to get over that one!). It is really a good idea to plan out your time. I have often wished for 48h days and until this happens, it is best not to overwhelm yourself with parties, studying or work – whichever one is your pet pieve. Just plan it out, it makes life not more stressful but more productive and happier. And defy the tardy monster in you. It is so easy – fun – to surround yourself with other exchange students! They understand you, you can all speak in English without feeling guilty (that you might not have learned Dutch), and you can all together laugh about the peculiarities (which you will later fall in love with and find totally normal!) of your newly found homeland (for the duration of your degree at least). It is all great fun, truly. Do not ever forget, though, that you are in a country with a rich culture, full of people who are eager to chat, are smart and curious, and can let you in on the little secrets of Leiden and beyond. I feel like it could be a mistake to bubble yourself into an international (or your home-country’s) world and forget to reach out to the local culture (and if you can choose, you are a lucky one!). …even if you are not planning on sticking around when you graduate. For me, life somehow proves to always be… unpredictable. One way or anther, I always find myself surprised with what I end up doing or where I end up living. I came to the Netherlands in 2014, with the clear plan to leave after one academic year…. I am still here, and have no plans to go away any time soon. And I know only the basics of the language. I (and many fellow bloggers) have covered this topic extensively. It is your choice (obviously), and it takes precious time and effort. But you can only be pleasantly surprised by what doors a new language can open for you. Where you live – the location and your flatmates – might very well determine how happy you are in a new country, and even how well you perform at school. I have lived in places where it was impossible to focus on anything productive – and have had great fun. I cannot say it is great waking up in the morning for class (nor that I was truly awake for some). But also you might not want to be encapsulated in dead silence, with no one to talk to, for days on end. The choice of the environment depends on your character and personality – and what you want form your new home – but do make sure you are clear with what you want well before you move. It can save you so much stress when you are moving in, and also later on in the year – as you will be happy with whatever choice you made for housing. Edit: Part 2 is out, you can check it out here. 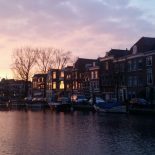 This entry was posted on January 31, 2017 by antoaneta@theleidener in Leiden, Living in Holland, Student City, Student Life, Study and tagged advice, livinginleiden, recap, studying, workandstudy.